Without question, some of the greatest challenges faced by the utility sector in the last decade have been brought by on the exponential increase in available data. Communication technologies and smart sensors are generating massive amounts of data and the volume only continues to grow. New innovations are continually introduced to make our homes and buildings ‘smarter’ and each produces data from devices, generators, and loads connected to the grid. For many utilities, an advanced distribution management system is proving to be the most effective solution. Where is all of the data coming from? Let’s take a closer look at the reasons for the increase in data and why it matters. The concept of electricity as a one-way flow of electrons is, inherently, simple to understand. Once you layer on the systems and mechanics required to achieve a reliable, centralized generation to distribution process, however, you increase the data flow and the complexity. Now, add an ever-growing roster of DERs with intermittent generation and dispatchable sources/loads as you transition to a decentralized grid with bi-directional power flow. The data quickly becomes unmanageable. Operators cannot maintain optimum efficiency and reliability without a clear, real-time understanding of the entire grid and all of its connected devices. Which brings us to smart technology. The term ‘smart’ is inexorably connected to the electrical grid, cities, buildings, homes, appliances, communication networks, and the Internet of Things. What we’re essentially seeing is the transformation of the analog electric grid into a digital grid, and that’s introducing its own massive amount of data. Why do utilities need this data? Going forward, reliable power delivery will hinge on a utility’s ability to capture, analyze, and share this data in real time with the systems and users that need it. With two-way power flow as an operating requirement and a more dynamic relationship between electricity supply and demand, the distribution grid operator will need strong situational awareness of their system, more comprehensive data analytics, and control over connected assets. This issue is top of mind for utilities – it was certainly a hot topic at the FERC Conference in early 2018. 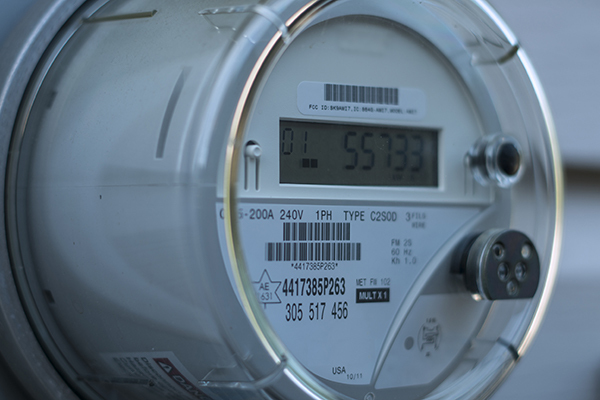 Utilities and grid operators alike stressed the importance of having real-time information on DERs to effectively integrate these assets into the wholesales power market. Utilities are primarily concerned with achieving greater visibility of DERs – their location on the network, their capacity, and their operating characteristics. Grid operators, on the other hand, need timely data on the quantity of electricity being fed into the grid by DERs. If these issues aren’t resolved, utilities are likely to experience a disconnect between centralized and distributed generation sources – and that has the potential to impair system stability, reduce reliability, and raise electricity costs. Accordingly, utilities are looking for tools and systems to collate, store, manage, analyze, and share data. They also need automated decision-making capabilities to ensure the right actions are taken as fast as possible. Fortunately, the cost versus performance curve for computing and data storage technology is trending favourably for decentralization. There are now cost-effective field devices at the grid edge that can process streaming data and send the results to the next level of automation in the system. Advanced analytic engines such as machine learning applications are evolving to handle the complex interoperability and data exchange between control systems, the support network, and grid-edge assets. How can you get the most value from the data? With ADMS, grid operators have access to real-time information about the entire network, end-to-end functionality to keep the lights on, and automated decision support in a single seamless view. Looking to the future when everything is connected and a decentralized distribution grid is the norm, utilities will need tools to manage, analyze, and share the ever-growing collection of data. That future is coming soon. Are you prepared? How are you managing data in the age of decentralization and the digital grid? Let’s keep the discussion going - share your thoughts below. 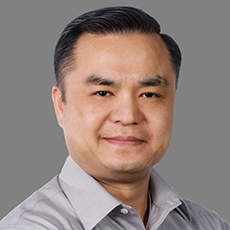 As Chief Technology Officer, Mr. Ngo is responsible for delivering the company’s technology, product vision, strategy, and roadmap. Prior to joining Survalent, Mr. Ngo served as President & CEO at Kinetics Solutions where he oversaw the company’s vision and strategy, product commercialization, strategic partnerships, and operations. He also held leadership positions in the power management and advanced magnetics manufacturing industry for Kinectrics Inc., and Honeywell international Inc.
Mr. Ngo holds an Executive Master of Business Administration, Marketing/Finance from Columbia University. He also holds both a Master of Science, Electrical Engineering and a Bachelor of Science, Electrical Engineering from Stevens Institute of Technology.